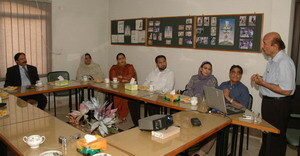 The distribution ceremony for the artificial limbs, prepared for those amputees under the project “Limbs for All”, was held at Hope Rehabilitation Center in Johar Town Lahore. The ceremony was attended by the executive body members of Hope Rehabilitation Society, staff of the Hope Center, amputees and their accompanying persons. 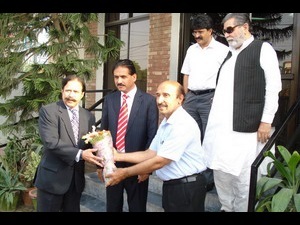 Secretary Zakat and Ushr government of Punjab Qazi Afaaq Hussain was the chief guest. 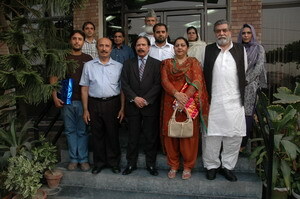 Chief Editor Daily Jinah Mr. Khushnood Ali Khan, President Lahore Garrison Club Mrs. Shaheen, Dr. Rizwan, Mr.Naveed Gill were the guests of honour. Dr. Khalid Niaz Niazi, President Hope Rehabilitation Society, welcomed the guests and all participants and thanked them for their participation in the ceremony. Before the presentation Dr. Niazi introduced all the participants to the chief guests and applauded the role of Lahore Garrison Rotary club for sponsoring many amputees in this noble cause. Qazi Afaaq Hussain praised the efforts of HOPE for introducing modern artificial limbs in country and stressed that such technology should also be started in government hospitals to help the disabled. 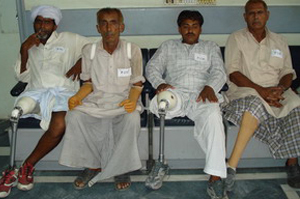 He said Zakat and Usher department would fully cooperate with HOPE Society for distributing free artificial limbs. 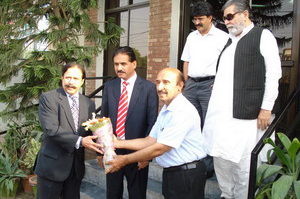 Mr. Khushnood Ali Khan also appreciated the work done by HOPE Society in the field of Rehabilitation in Pakistan. 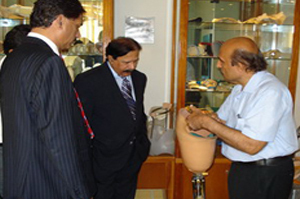 He showed a keen interest in proposal given by Dr. Niazi for the establishment of School of Orthotics and Prosthetics in Lahore. Members of HOPE Society executive body Mr. Humayun Khan, Nazia Noor, Ghazal Hassan, Dr. Noman Shakeel, Tariq Saadat, Naveed Gill and other members also attended the function. The ED caused by that surgery may be either temporary or permanent. However, it is important to have the doctor’s opinion first prior to taking these oral medications because they would have pessimistic effects on the body. The ED due to that surgery might be either temporary or permanent. However, it is important to have the doctor’s opinion first before taking these oral medications because these may have bad side effects for the body.